If you have used DeepSky stacker to stack RAW files, maybe you have notice that the resulting image is poor of color saturation. This is because it has a higher number of bits then the display could show. Going to less bits per Chanel we are loosing information so it is good idea to do any touches as early as possible. DeepSky stacker give us tool to achieve correct color balance and increase luminosity and saturation. 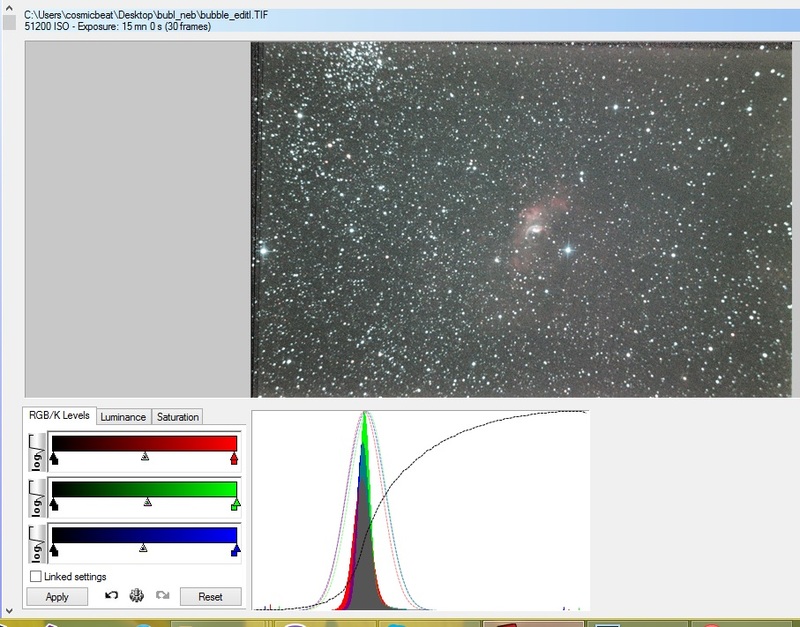 The best color balanced image has all the 3 channel (RGB) histograms overlapped. You can adjust this as well as increase intensity of high lights and shadows (correct the background). Finally use the saturation slider to achieve the colors. But be careful with the color noise.